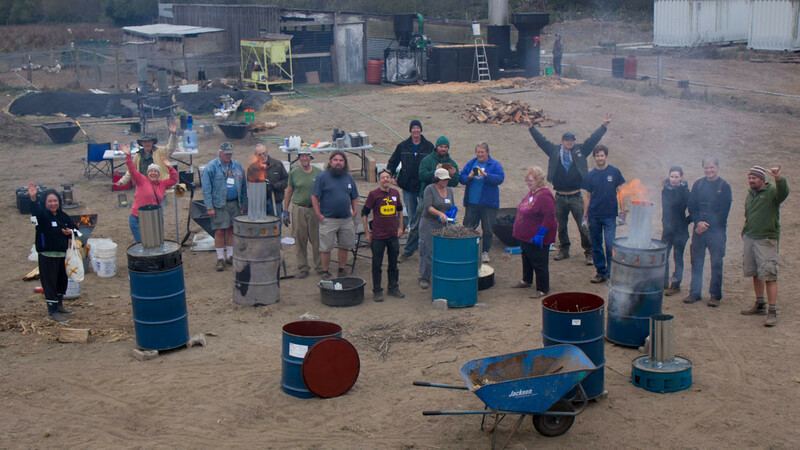 The First Inaugural Biochar School, Featuring Hands-On and Farm-Scale Technologies, Was a Great Success in Biochar Education and Awareness. 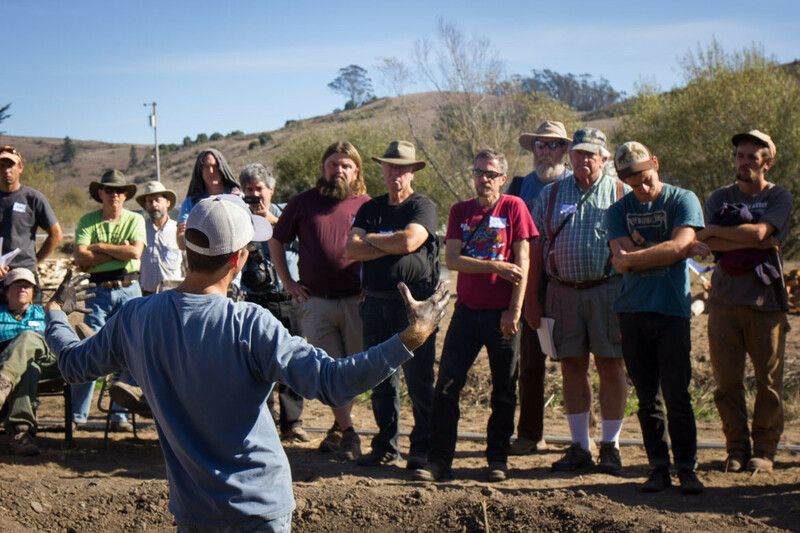 For five days several dozen individuals from all over America (and even one from Norway) gathered at Swallow Valley Farm in Sonoma County to learn and share. 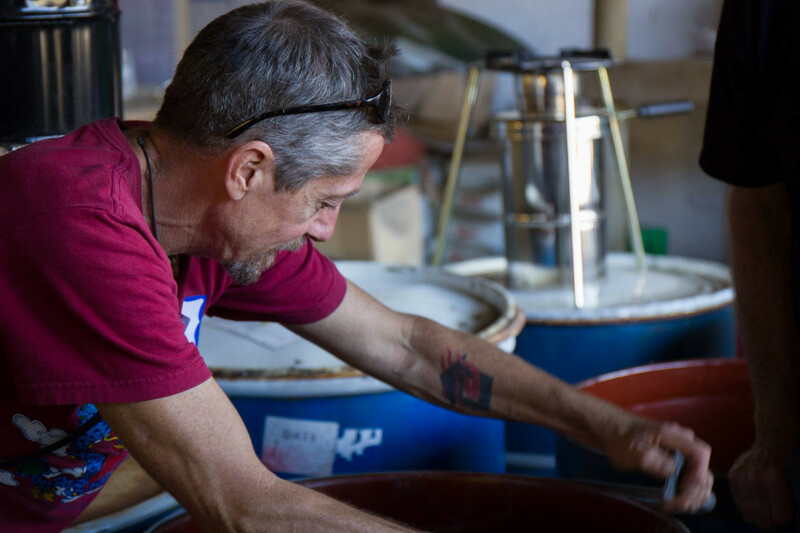 Some of the highlights included building cookstoves and oil drum TLUD’s, kitchen tool characterization techniques, biochar fertilizer preparations, and of course – fire demonstrations. By day one, guests and hosts alike were already discussing future locations and themes for similar events. 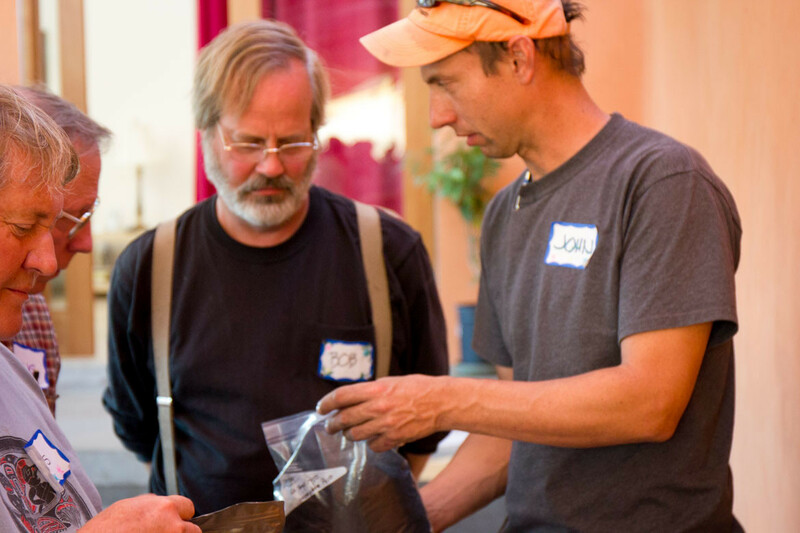 What stood out from this event and many previously attended biochar events was the hands-on approach in extended length format. 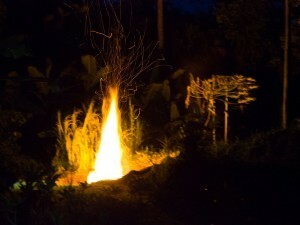 We had the opportunity to build, to burn, and to get our hands black with biochar. 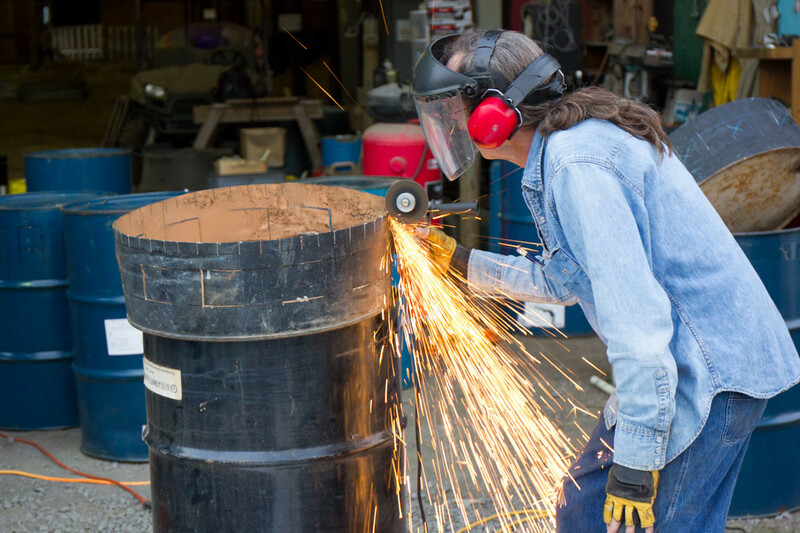 Art Donnely, of Sea Char, in the beginning workshop of how to make a 55 gallon drum TLUD. 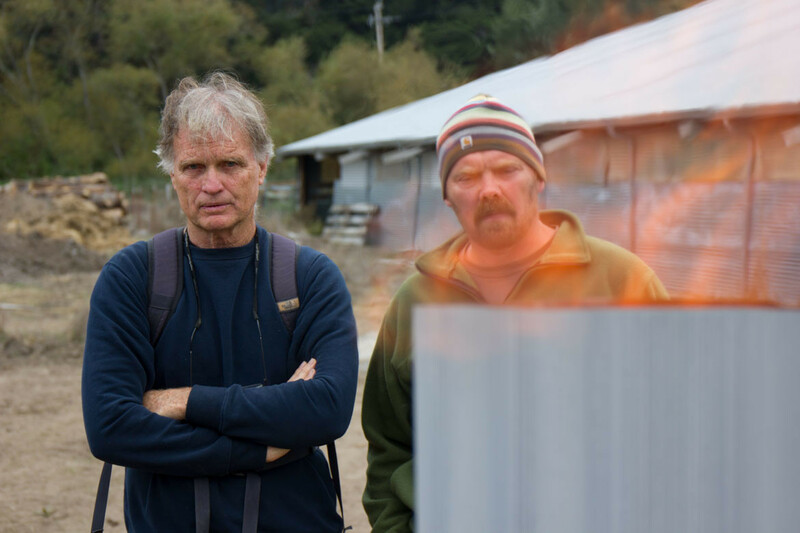 A nice looking biochar cookstove is visible in the background. There will be more images of this later in the post, it was very interesting to watch them built. 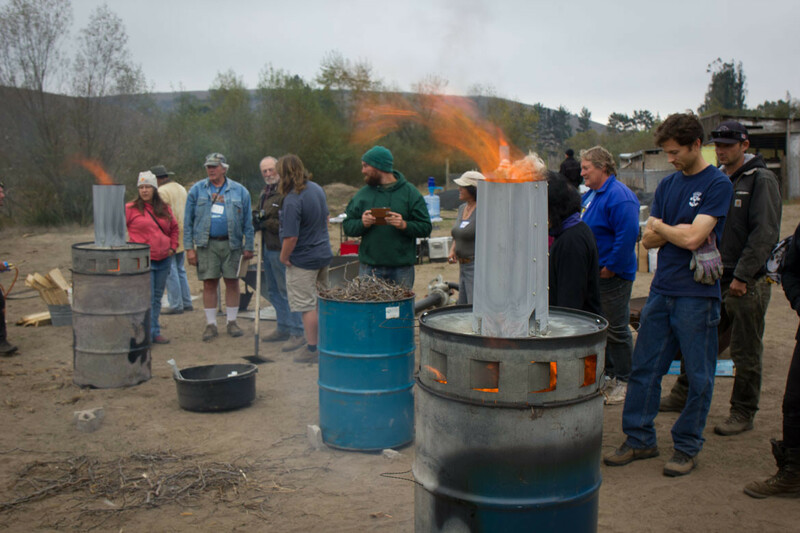 Phillip Small lead classes on biochar characterization with basic kitchen tools and understanding laboratory analysis. It was very popular. 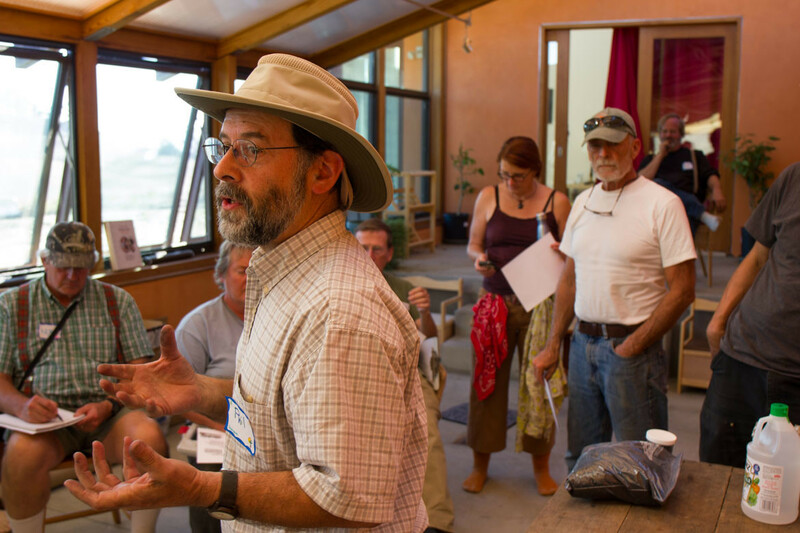 He is well spoken in biochar and soil – an expert in both. 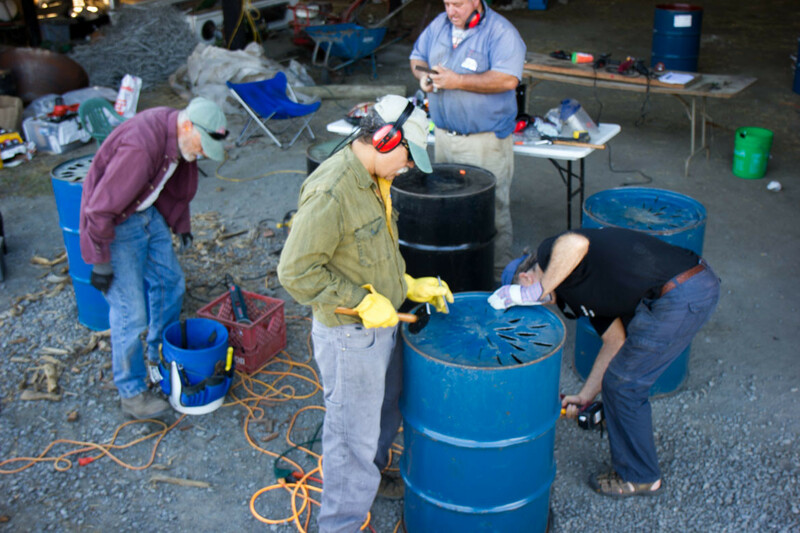 John Miedema on the right, Bob Wells to his left, both investigating an interesting sample of carbonized biomass (biochar). Most of the hosts and attendees stayed on the farm. 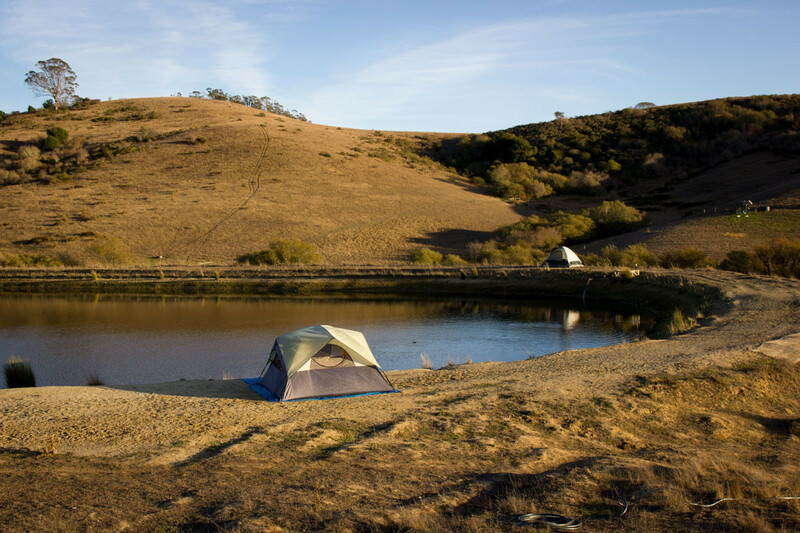 Camping in tents near the reservoir or down by the river. The fireside chats took place right here by the reservoir. Building TLUD’s down in the barn at Swallow Valley Farm. 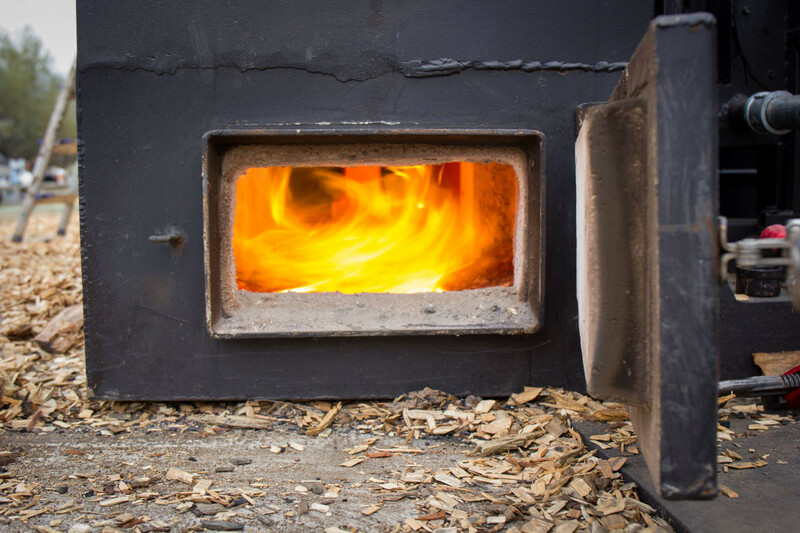 Looking inside the firebox of the Mobile Adam Retort. This unit had arrived from North Carolina about a week previous. It was a great treat to see it in action. Absolutely clean burning and quite as a mouse. 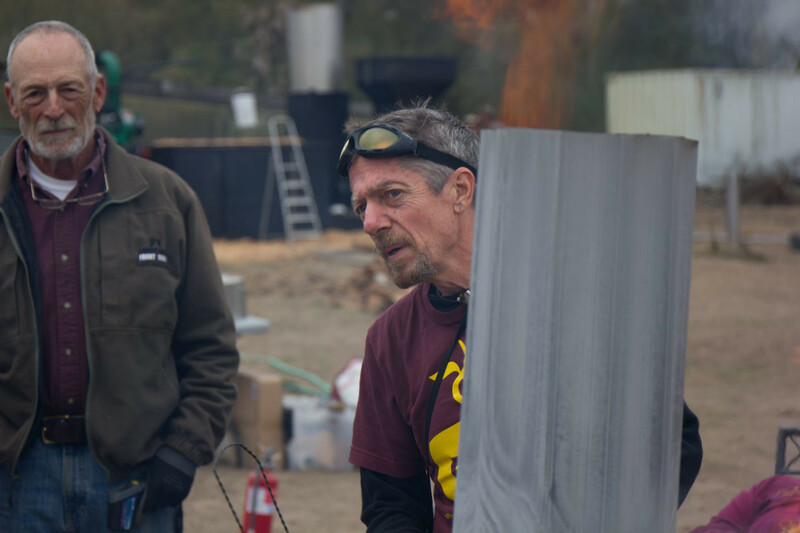 Bob Wells and Peter Hirst were operating it multiple days, and shared their wisdom on draft dynamics, clean combustion, metallurgy, and life. 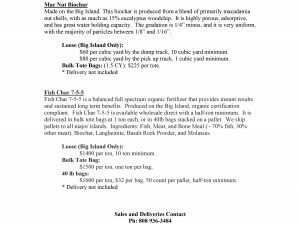 Rock Char, a new product that Pacific Biochar is offering and one of the many basic recipes for biochar preparations that was shared with the attendees. 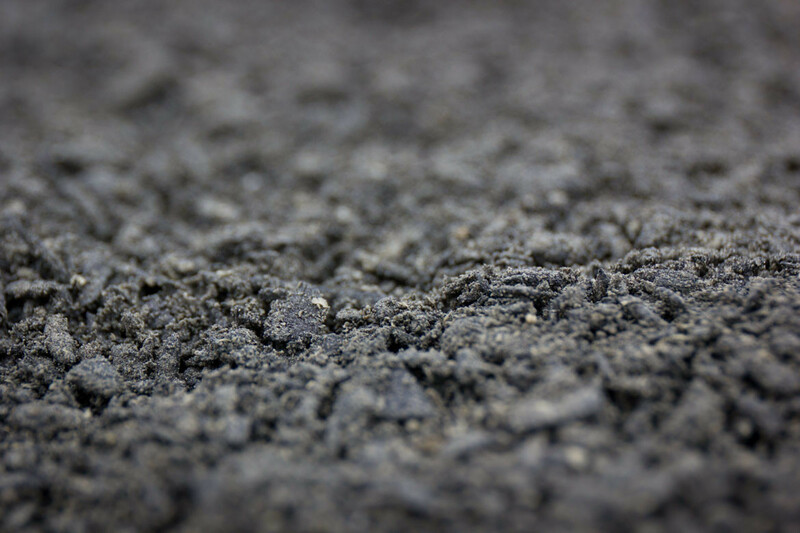 Bokashi Biochar, a Pacific Biochar product offering. 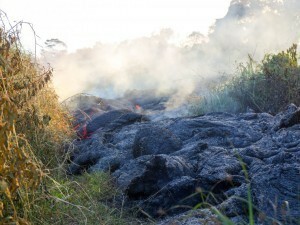 The biochar is visibly teeming with microbial life. Many attendees were wowed by the sight and feel of this biochar product, and by Simran Raphaell’s fantastic lecture on fermentative microorganisms and composting techniques. Demonstrations of the general procedure and basic recipe information were shared with attendees, the finer details of exactly how we make our product are still kept as trade secrets though. The eloquent Mr. Paul Taylor shown on the left with the fire of a freshly made TLUD in the foreground. 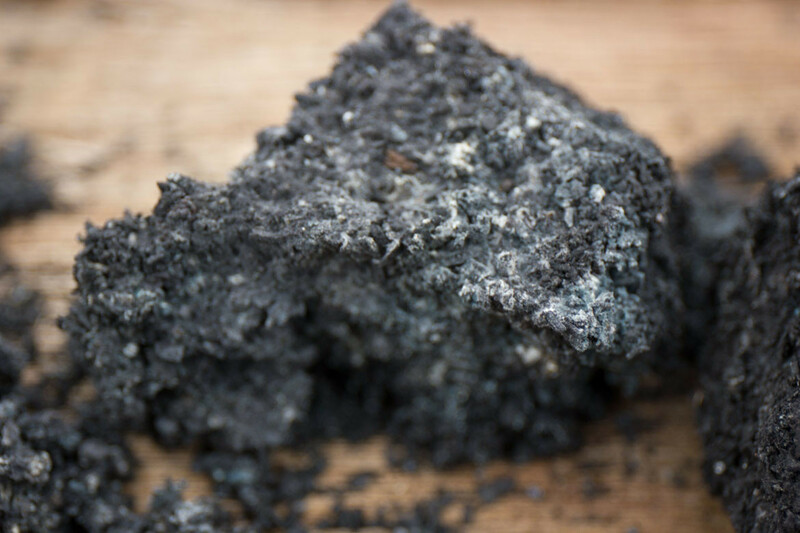 Paul Taylor authored a great book on biochar titled “The Biochar Revolution” of which there will be an updated version coming out in the next year. Appearing as an attendee, Paul contributed much to the conversation. Fire. Build it and they will come. We as humans seem to share an innate love of fire. How could we not, it is very likely that our mastery of fire as a tool is what originally allowed us to advance as a species. At the very least it has been an indispensable companion for many millennia. I would like to take this opportunity to introduce a term – Pyrophilia: a love of fire. The word currently exists in an obscure and unsavory form, but I believe it is time to reclaim it for a better use. We are not maniacs, pyromania is inappropriate. A few hosts and attendees seen here gathered around the fires of TLUD’s freshly made by attendees under the guidance of Art Donnelly. Camaraderie happens. This is the general scene down at the fire demonstration yard. Daily demonstrations were held here including; the Mobile Adam Retort (visible in the background), pyramid kilns brought by Michael Whittman, the “C-4” and other various stoves brought by Paul Anderson (Dr. TLUD), clean cookstoves brought by Paul Taylor and others, above-ground-top-down-open-fire “conservation” burns shown by Peter Hirst and Kelpie Wilson, below-ground-bottom-up-open-fire “pit kiln” burns by Josiah Hunt, and other various flammable debauchery. 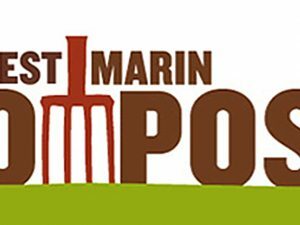 A wonderful event. While making this post, I found myself reminiscing the feel of being there. So much exciting positive energy, enthusiasm, sharing, hope – and completely flooding our days with virtually non-stop geeky biochar talk. In normal times, the gaining of new connections and solidification of existing connections happens at a certain rate, during events such as this, the rate of connectivity is thrown in hyper-speed. I believe that the industry gained a good step forward from what happened there at Swallow Valley Farm. I feel honored to have been a part of it. Many thanks to Peter Hirst, Kelpie Wilson, and Raymond Baltar; the event organizers. It would not have happened if they had not acted on an idea then tirelessly brought it to fruition.